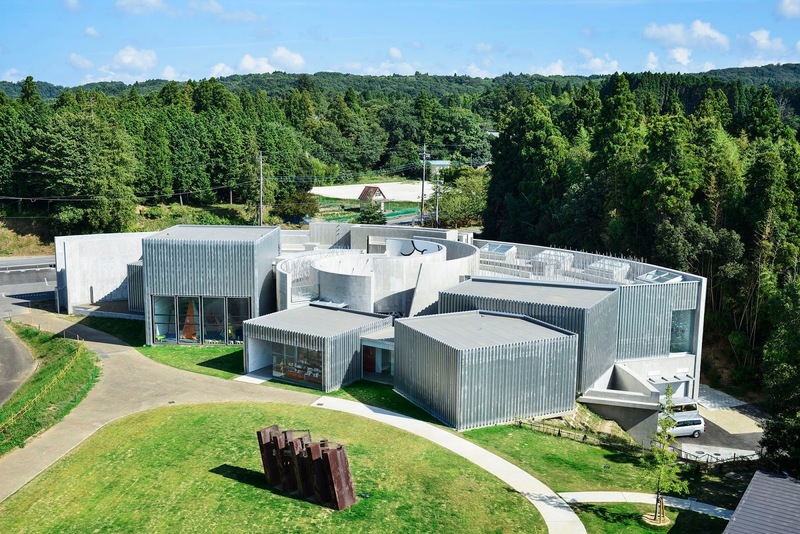 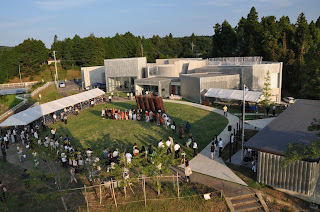 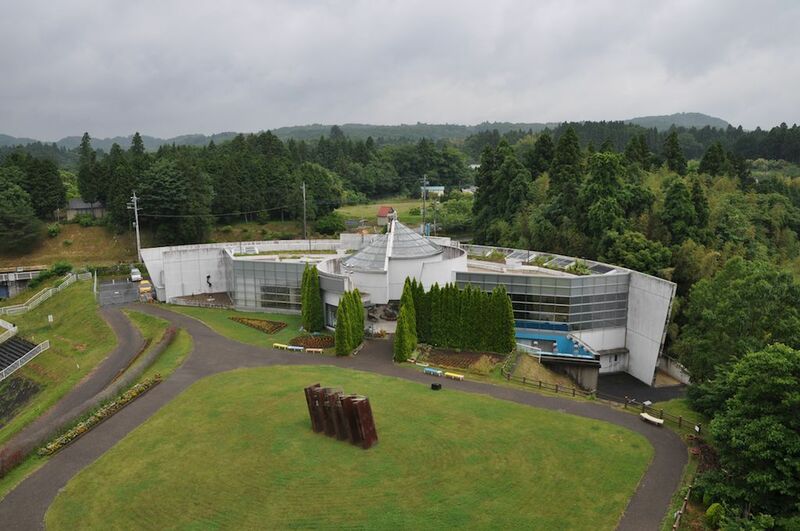 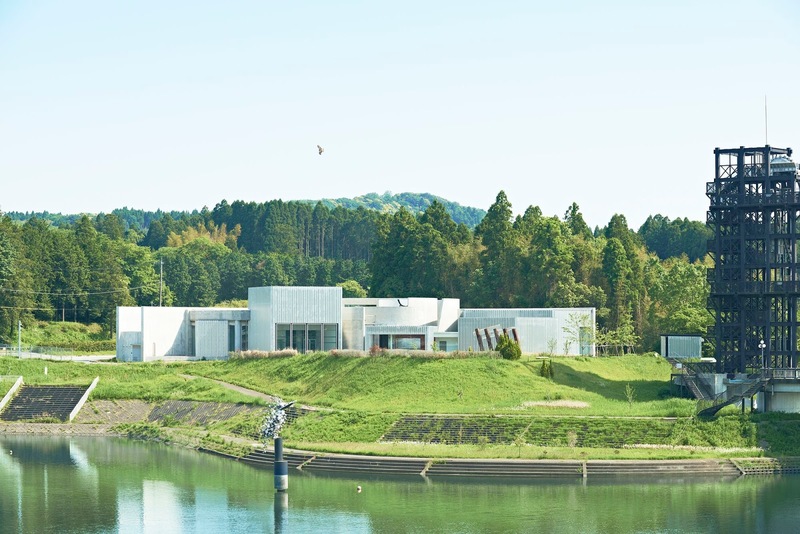 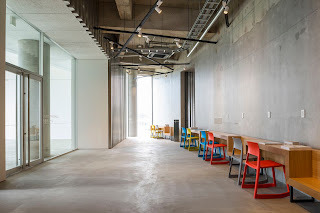 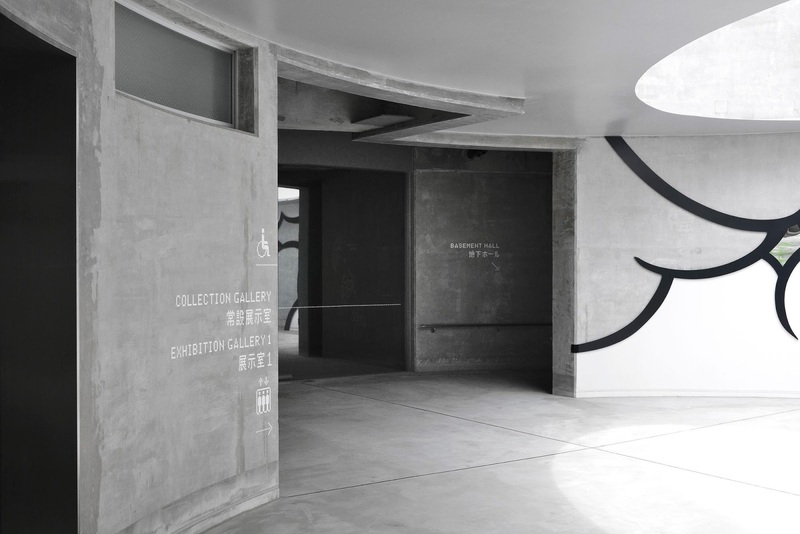 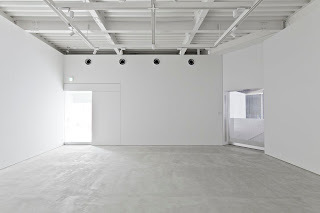 Ichihara Lakeside Museum, which was originally built in 1994 and underwent extensive renewal to both its exterior and interior, is a newly-opened contemporary art platform which aims to create hub for local communities and cultural activities. 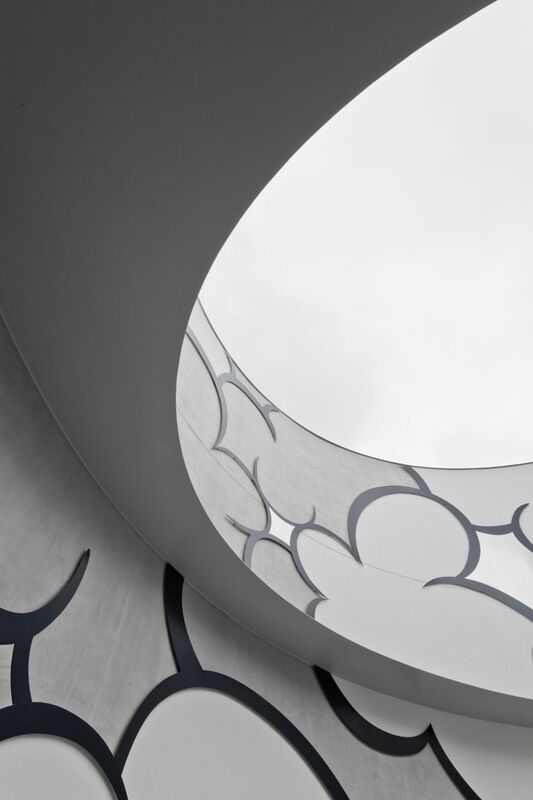 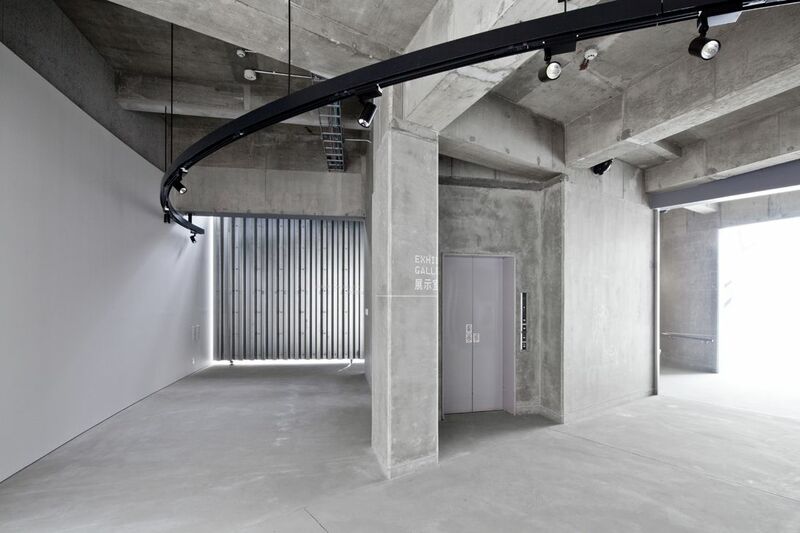 The original construction was built as a reinforced concrete cylindrical structure and its large curved surfaces were limited the potential of utilizing the existing spaces for art exhibitions. 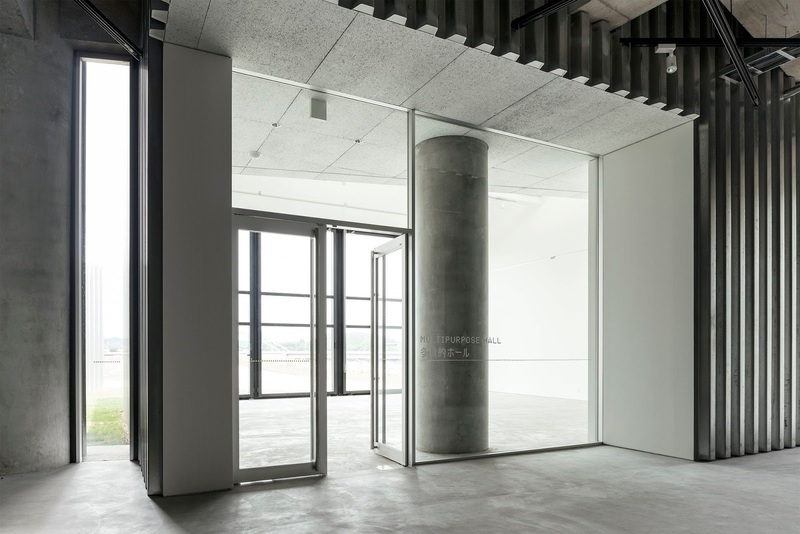 The renewal design produces dramatic changes of the structures, including peeling off the paint of the both of interior and exterior, removing the existing glass of roof and the windows for the purpose getting the concrete structures to be exposed. 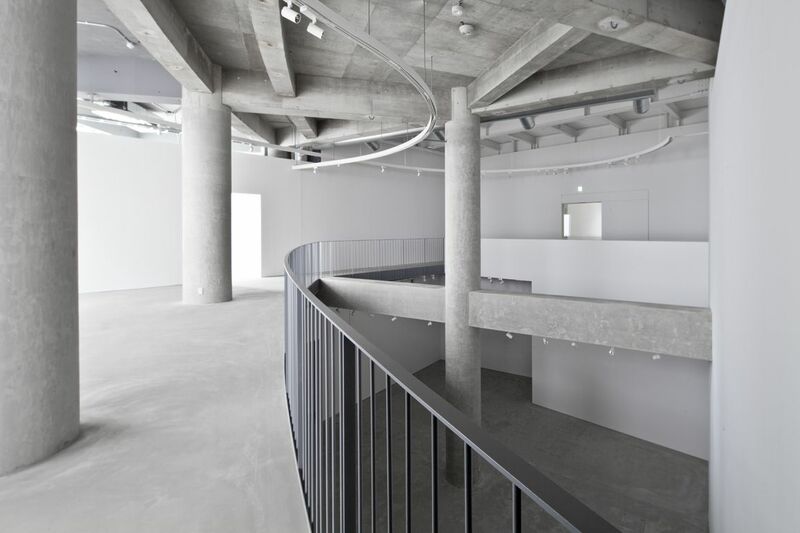 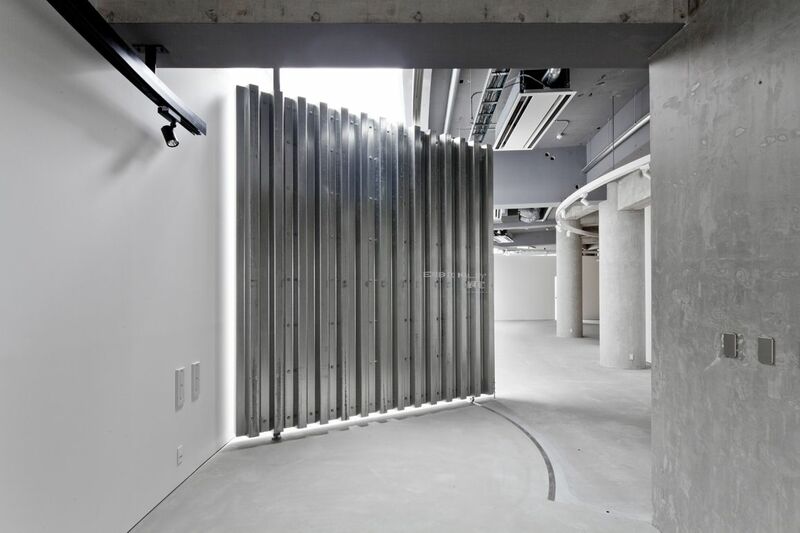 The new extension is laid out with steel plates, named “art walls”, and part of them is suited within the original structure. 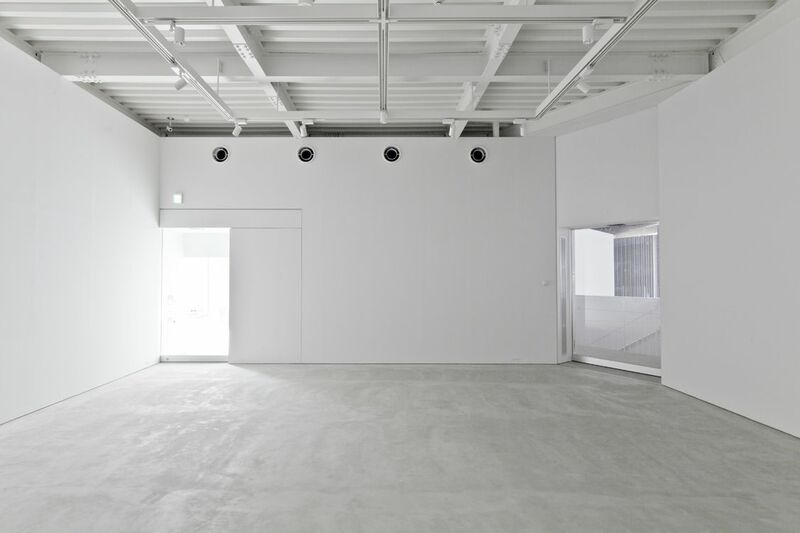 The extension houses new exhibition space for contemporary art, a community-oriented multi-purpose hall and a lounge on the ground floor. The new “art walls” greatly enhance the building plan and the walking routes of the museum. 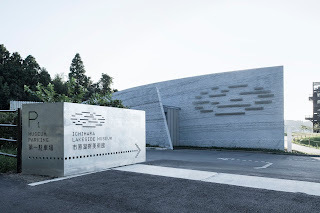 The new transformation provides visual breaks in the interior, and to draw attention to the surrounding context from the lake and the lawn in front of the museum blessed with beautiful nature, which will ensure the relevance of the natural environment to the art experiences of the visitors. vi design: yoshiaki irobe / nippon design center inc.
lighting consulting: sirius lighting office inc.
contractor： yamauchi kogyo, okamoto, okazaki setsubi, sanwa densetsu, agc glass kenzai co., ltd.